about this book: This exciting book is the true story of Adel and Itsak, a young couple married near the end of WWII who lived in Poland. It is a love story of the highest caliber, an epic love story! When Itsak leaves their poor little home in Poland to find work in the small village, he is taken by Russian soldiers to a work camp. He never came home that day. This began the search by his loving wife, Adel, who was just twenty-three at the time. 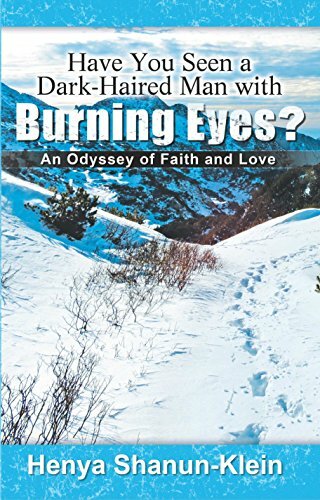 For five years, alone, poor, facing evil people and rescued by a few good people, Adel traveled from Poland to the Kamchatka peninsula in Russia and back...Alone! She faced hunger, tremendous cold (traveling through Siberia with only the clothes on her back) being attacked by drunken soldiers but never gave up her 20,000 kilometer search for the man she loved. Adel was the mother of the author, Henya Shanun-Klein. For years Henya talked to her mother and recorded every event. Then, Dr. Klein, a Psychologist and Thanatologist, retraced her mother's footstep in her own epic journey in order to write this book. Everyone says, "This book should be a movie." Dr. Klein lived and practiced in the U.S. for many years and is now living in Tel Aviv. Her book has been included in the famous Yad Vashim Library in Israel, world's largest library of Holocaust events.